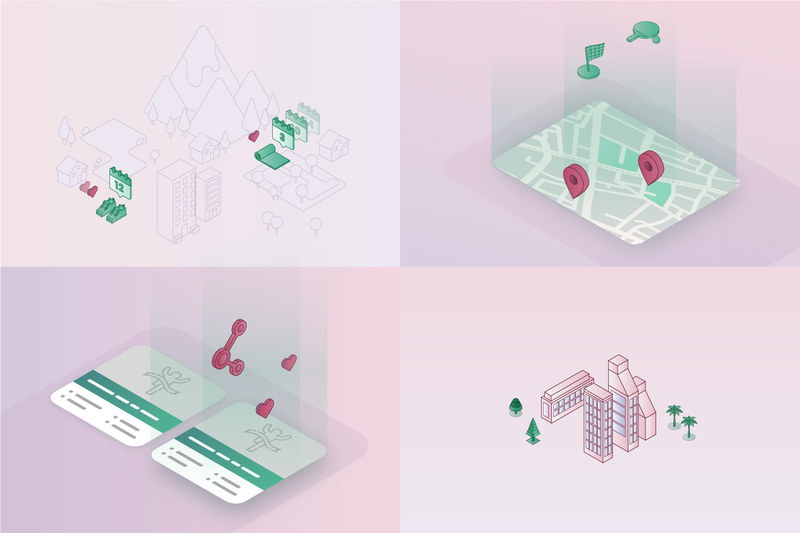 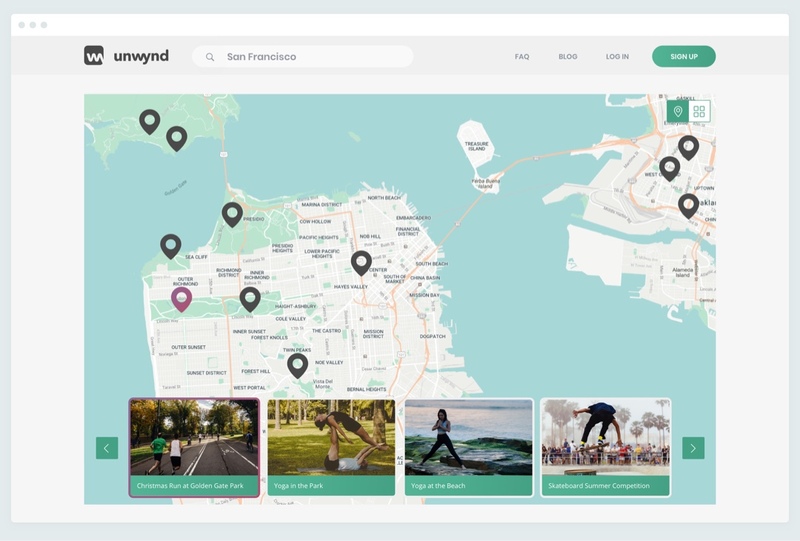 unwynd is a platform created for active people, to help them find fun activities in their neighborhood. 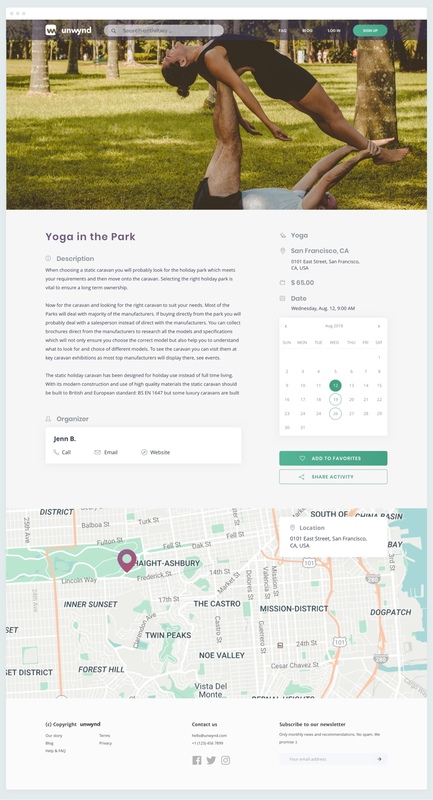 Events or activities are easy to publish for both individuals or companies/brands. 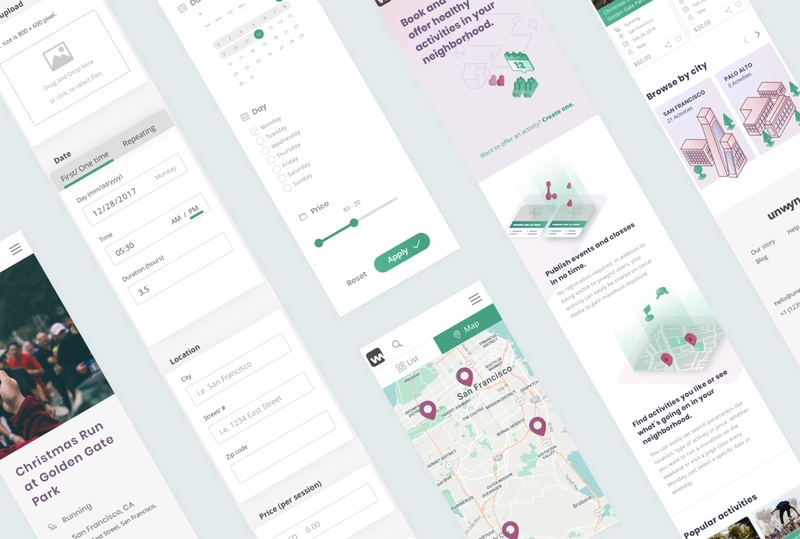 Unwynd hired me to do the branding, UX and UI of their website.